A steel beam on the entrance of the building now features 13 stars, representing each of the students. A plaque below the beam states that the Pavilion honors the students who integrated Emory, the BSA house inhabitants and everyone else who has contributed to Emory’s multicultural community. The names of the 13 students have not been made public for their protection, University President Claire E. Sterk said in a speech at the dedication event. Located at 716 Peavine Rd., the Campus Life Pavilion opened September 2016 and provides programming space to Emory students and community members. The 716 Peavine Creek Rd. site was the BSA house from 1986 to 2011. The current BSA house located at 22 Eagle Row. About 80 people attended the dedication event, which was part of this year’s Homecoming Week. At the dedication ceremony, Sterk encouraged alumni to reminisce on their college experiences. Sterk also emphasized Emory’s commitment to equality. “At a time when cultural wars are pushing universities to ignore cultural values of students, I am proud that we are honoring this culture,” Nair said. 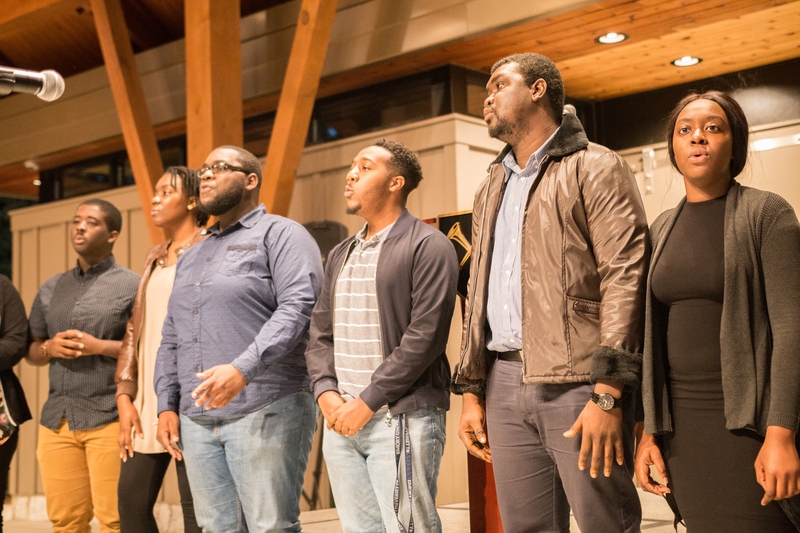 Sariyah Benoit (18C), the outreach and external affairs intern for the Emory Black Student Union (EBSU) said that she appreciated the chance to connect with other black Emory community members at the ceremony. Caucus of Emory Black Alumni (CEBA) Co-chair Dorothy Bota (11C, 13PH) said that she was delighted to see former students meet in the Pavilion. “It’s good that this event is being covered because hopefully in 20 years we can have information about this day as an important day in which the Pavilion was inaugurated to commemorate black students,” Bota added.